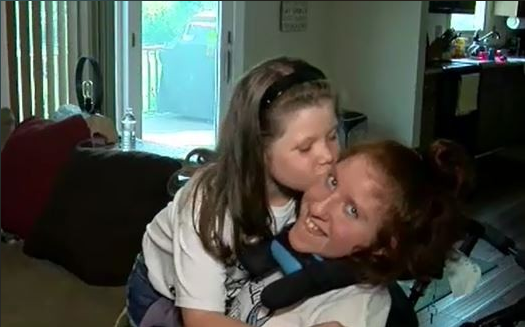 Eight-year-old Amelia Bovais from Port Tobacco, Maryland, has a special bond with 14-year-old Abby Weinberg. Amelia first met Abby two years ago when Abby’s mother was her second grade teacher. 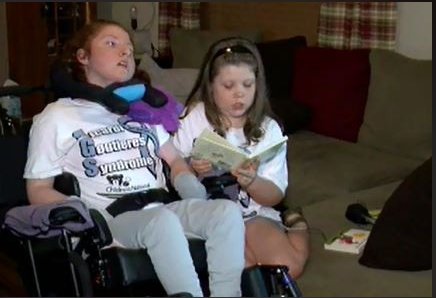 Abby has a rare genetic disorder called Aicardi-Goutieres Syndrome, or AGS, which causes severe neurological problems and physical disabilities. Most children with AGS don’t survive past childhood. As the girls’ friendship grew, Amelia learned more about AGS and she became determined to help. “In the summertime, she’s like I got to start raising money,” said Keely Bovais, Amelia’s mother. While visiting her grandmother in Oregon, Amelia started going door-to-door to collect bottles and cans for a five-cent deposit. She joined Abby’s family at Children’s National Health Systems’ “Race for Every Child.” After the race, she spoke to her church in La Plata which lead to a $100,000 donation from an anonymous member for AGS research. “Most people don’t know about it, so I’m trying to raise awareness about it,” said Amelia. In all, Amelia has raised more than $140,000 for AGS research. Abby’s parents say Amelia is a blessing and her effort provides hope for families like theirs. And Amelia will keep campaigning for her friend and others with AGS. 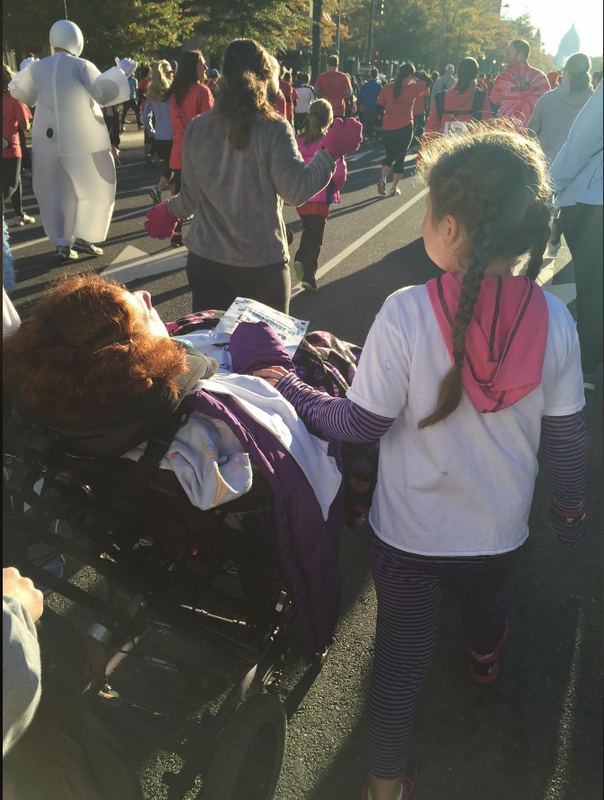 “My hope is to find some sort of treatment for AGS because there’s no cure for it,” said Amelia, who is looking forward to crossing the finish line with her friend Abby next to her at this year’s “Race for Every Child” on October 1. Newer PostMiddleton Farm that yielded $1,400 for AGSAA!